I manage our technology coverage. Opinions expressed by Forbes Contributors are their own. 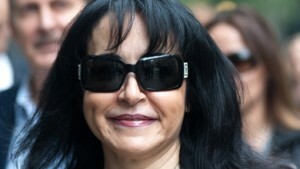 Daad Sharab, who won her $10 million case against Saudi Prince Alwaleed. This morning a UK court ruled in favor of Jordanian businesswoman Daad Sharab in her $10 million case against Saudi billionaire Prince Alwaleed bin Talal. In his decision, Justice Peter Smith called him “completely unreliable”, “hopeless” and “pathetic." The judge said: “It is not necessary for me to determine whether he was telling lies in the witness box. He came close to admitting it.” The plaintiff, a Jordanian businesswomen, was awarded the full $10 million commission that she sought. The weeklong trial a month ago was consumed with proving that the prince owed Sharab $10 million for helping broker a sale of his glitzed-out Airbus 340 to the late Libyan dictator Muammar Gaddafi. The plaintiff Sharab had alleged that the prince stiffed her after she helped get Gaddafi to the table. Alwaleed had only recently bought the jumbo jet in a fire sale from the Sultan of Brunei for $95 million. After years of bickering and posturing, the plane was delivered in 2006 for $120 million, above the amount Sharab contended she was owed her bonus. In his defense testimony, Alwaleed repeatedly said he was going to pay Sharab something for her work, but it was always supposed to be at his discretion. Then he said Sharab lost her claim to any money when she “stabbed him in the back” and went to go work for the Libyans. (The negotiations over the jet went south several times, held up by alleged bribes and fears of double-crossing.) During the trial, plaintiff attorney Clive Freedman tried to get Alwaleed to admit that excuse was concocted during the litigation, but failed to pin that on the prince. Alwaleed filed a letter of claim in the UK against Forbes over a story published in March questioning his net worth.